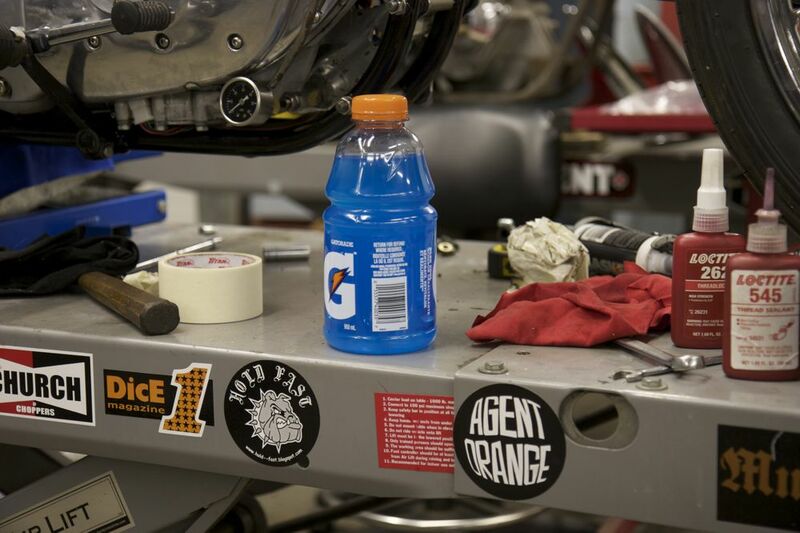 Amazing what you eat and drink while building bikes. There were some funky late night gas station burgers, cheese dip, donuts and more at JPRC. Only got a shot of my drink, I dig this color.